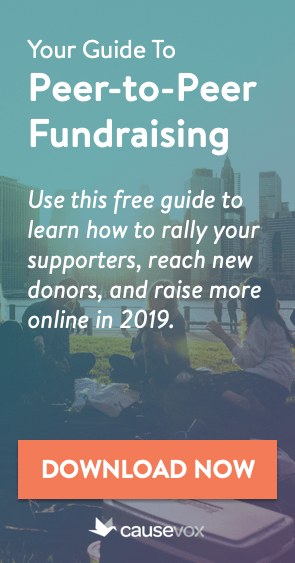 Fundraising Authority Webinars present the best strategies, tactics and training available for non-profit fundraisers, board members, volunteers and consultants, at a fraction of the cost of in-person fundraising seminars. Below are answers to some of the most common questions we receive about our webinars. If you have other questions that aren’t answered below, please contact us. What Are Fundraising Authority Webinars? Fundraising Authority Webinars are one-hour multimedia webinars that present state-of-the-art fundraising training and strategies, taught by recognized fundraising experts. Each webinar is recorded and is presented along with supporting materials and/or bonus items to help your non-profit thrive. You get lifetime access to the webinars and materials and can watch / read at your leisure. Fundraising Authority Webinars are presented through AnyMeeting, one of the premier webinar platforms on the Internet. When you purchase a webinar, you will be taken to a page where you can download the webinar packet, which contains links to the webinar (hosted by Vimeo) and to any written materials that are included as part of the webinar. You can access the webinar and materials using these links as many times as you like, at your own convenience. You may also share the webinar and materials with other members of your organization. 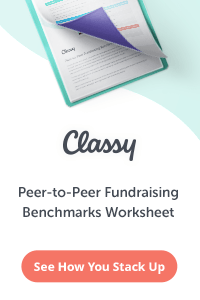 After you watch the webinar and read the materials, if you have any questions, you can e-mail them to The Fundraising Authority using the e-mail links provided in the webinar packet. In order to watch the webinar, you need a computer with an internet connection. To listen to the audio, you can use your computers speakers or headphones. The webinars are hosted by Vimeo. It’s that simple… and, if you have technical problems while trying to watch the webinar, we are here to help. Who Teaches Fundraising Authority Webinars? Each Fundraising Authority Webinar is presented by a recognized non-profit fundraising expert or team of experts. Many are taught by Fundraising Authority founder Joe Garecht. Are the Webinars Live or Recorded? What If I Have Questions? When you purchase a Fundraising Authority Webinar, you will receive a recording (audio and video) of a live webinar, including the question and answer portion. If you have questions after you watch the webinar, you can e-mail them to The Fundraising Authority using the e-mail links provided in the webinar packet, and we will respond with a detailed answer. What if Several People at My Organization Want to Take the Webinar? Do We Each Have to Pay a Fee? No, you only need to pay once per organization. You may share the recorded webinar and all included materials with as many people at your organization as you would like. Can I Watch this Webinar from My Mobile Device? Yes, all of our webinars are hosted by Vimeo and are mobile-compatible. How Much Do Fundraising Authority Webinars Cost? 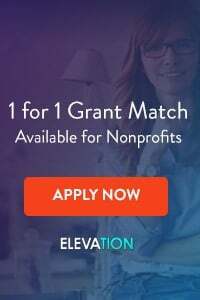 All Fundraising Authority Webinars cost $37, which includes the recorded webinar, all included written materials, as well as lifetime access for you and your team members. Are Fundraising Authority Webinars Guaranteed? Yes. We 100% unconditionally guarantee all of our webinars. If you are unsatisfied with a webinar for any reason, we will refund your fee in full, no questions asked. That’s our guarantee to you. You will love our webinars. What Have Past Participants Said about Your Webinars? Great presentation! I took away some helpful hints and recommendations. Keep up the good work! I just listened to your Rapid Growth webinar. I enjoyed it immensely and have a better sense of the steps we need to take to get more organized with our fundraising. What Happens After I Purchase a Webinar? After you purchase a Fundraising Authority Webinar, you will be taken to a page with instructions for downloading the webinar packet, which includes links for watching the webinar and accessing all of the included written materials and bonuses. How Do I Register for a Fundraising Authority Webinar? To register for a Fundraising Authority Webinar, just go to our webinar page, select the webinar you want to purchase, and click the link. It’s that simple! You’ll get immediate lifetime access for you and your team!